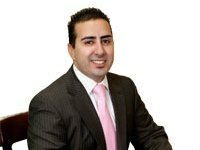 David is a Solicitor admitted in the Supreme Court of New South Wales and has been with the firm since 2001. David heads the litigation team at Shad Partners with enthusiasm and a detailed knowledge of the law. David takes a hands on approach to ensure each matter is prepared meticulously, both in evidence and the law. He explores all avenues and thinks laterally to achieve the best result possible for his clients. David has acted in many matters before the Supreme Court, District Court and Local Court and has particular experience and interest in estate and real property matters. David believes the only way to best represent your clients interests is working hard, knowing the facts and the law along with surrounding himself with people that have the skillset that compliments his own range of skills. David’s good rapport with quality barristers, and their collaboration, allow for the client’s case to be advocated in the best possible manner.